Born Julius Marx in 1890, the brilliant comic actor who would later be known as Groucho was the most verbal of the famed comedy team, the Marx Brothers, his broad slapstick portrayals elevated by ingenious wordplay and double entendre. 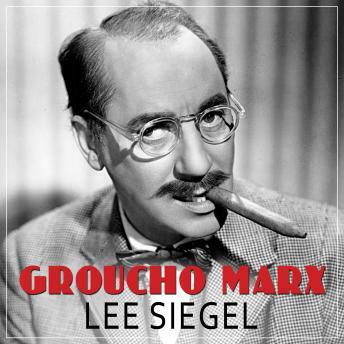 In his spirited biography of this beloved American iconoclast, Lee Siegel views the life of Groucho through the lens of his work on stage, screen, and television. The author uncovers the roots of the performer's outrageous intellectual acuity and hilarious insolence toward convention and authority in Groucho's early upbringing and Marx family dynamics. The first critical biography of Groucho Marx to approach his work analytically, this fascinating study draws unique connections between Groucho's comedy and his life, concentrating primarily on the brothers' classic films as a means of understanding and appreciating Julius the man. Unlike previous uncritical and mostly reverential biographies, Siegel's 'bio-commentary' makes a distinctive contribution to the field of Groucho studies by attempting to tell the story of his life in terms of his work and vice versa.